Quick and Easy Creamy Mashed Potatoes are a perfect holiday side. 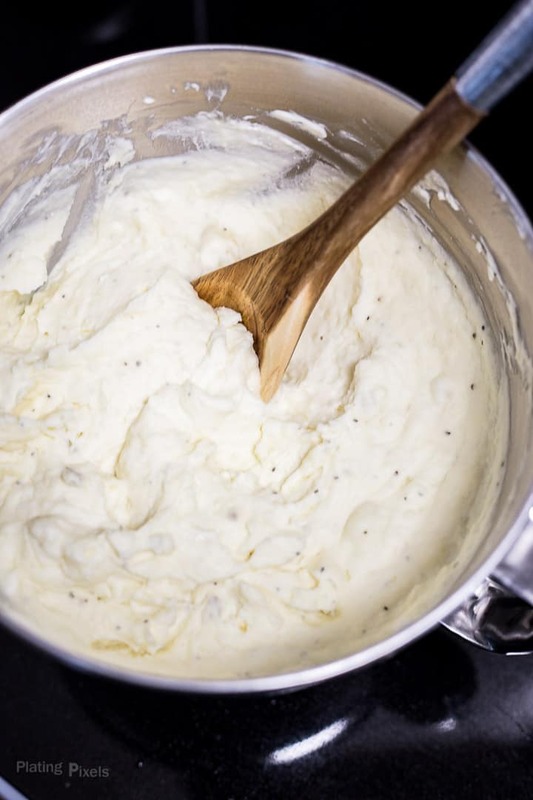 Mix with sour cream, cream cheese, butter and milk for creamy mashed potatoes as silky as whipped cream. Plus learn how to whip them together in less than a minute. It wouldn’t be a proper Thanksgiving without mashed potatoes, even better if they are smooth and creamy mashed potatoes. 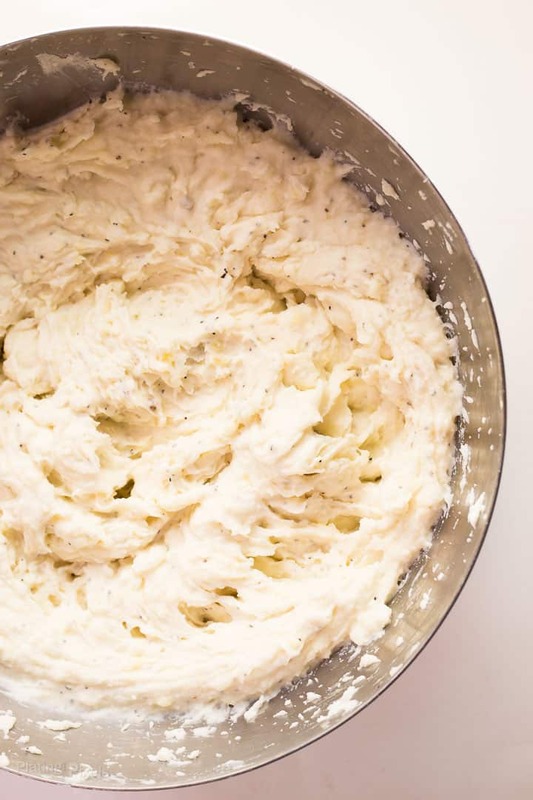 Have you ever made mashed potatoes that are lumpy, sticky or generally bland? Not so with these creamy mashed potatoes! Whether it’s Thanksgiving or Friendsgiving, I make sure to always have these Creamy Mashed Potatoes. As the name implies they’re super easy and creamy. If you’re good at peeling you can have these finished in about 30 minutes, most of it is hands-off time too. So let’s take a look at what you need to make them. 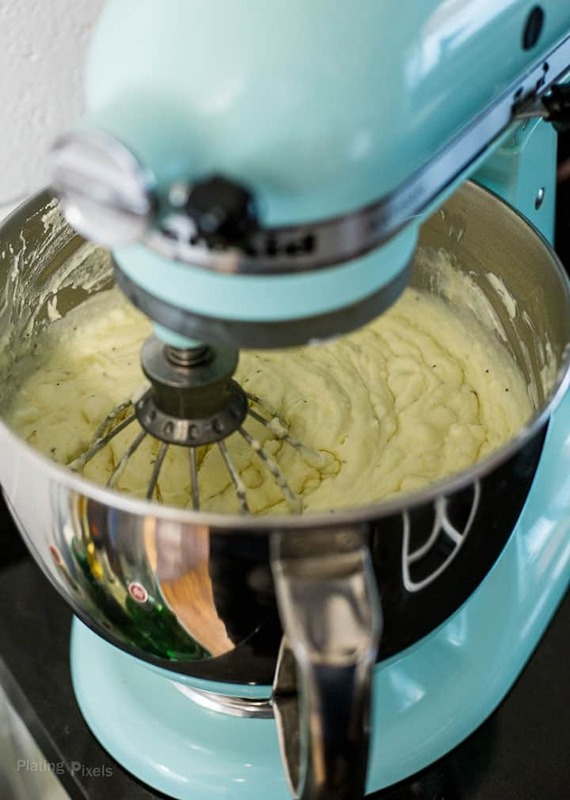 Pro Tip: Use a stand mixer with whisk attachment on medium speed to mix to mix all ingredients together. These creamy mashed potatoes will be light and fluffy in less than a minute. 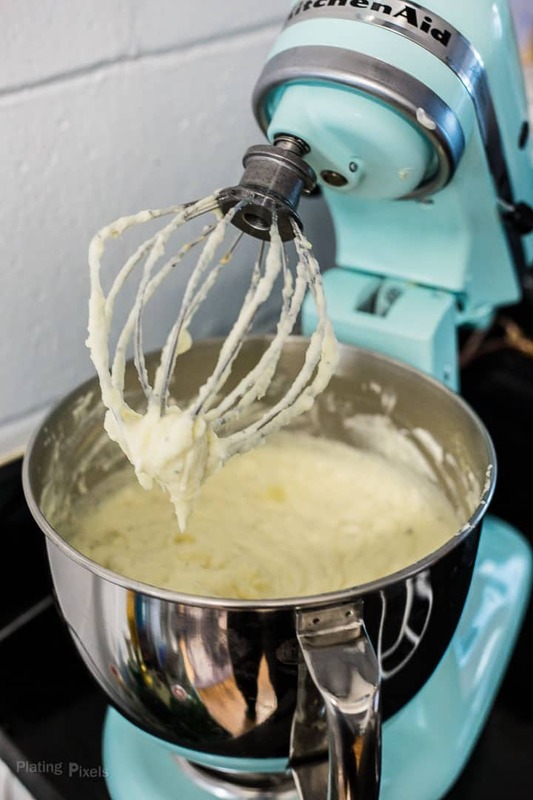 The secret is lots of cream-based ingredients (sour cream, cream cheese, milk and butter) plus mixing everything together in a stand mixer with a whisk attachment. Whipping the potatoes gives them a smooth and silky texture without being sticky. This mixture of creamy add-ins creates rich, fluffy mashed potatoes with the consistency of whipped cream . No extra butter, gravy or seasonings are needed when you serve them, they’re just fine as they are. If you don’t have and stand mixer or handheld one, use a potato masher to mash the potatoes, then stir in remaining ingredients until combined. The texture will not be as light and fluffy, but will still taste great. Use more or less milk to reach desired consistency. I like my creamy mashed potatoes very light and airy, and add extra milk. 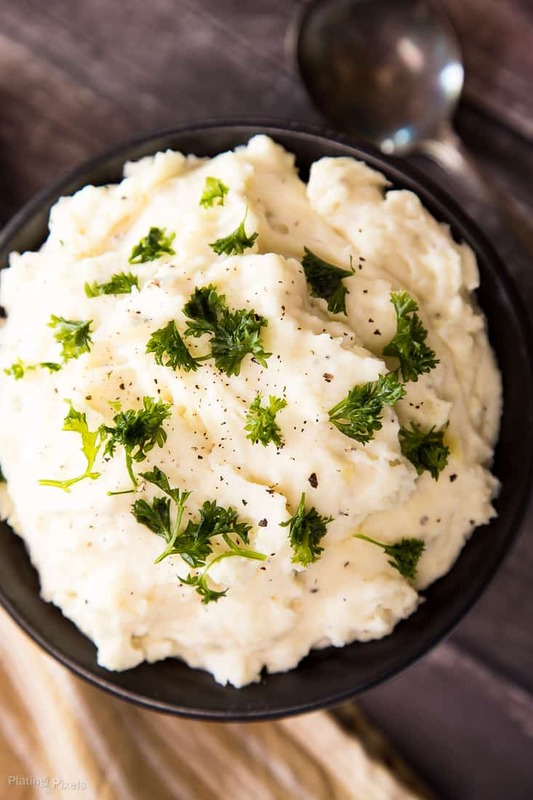 Quick and Easy Creamy Mashed Potatoes. 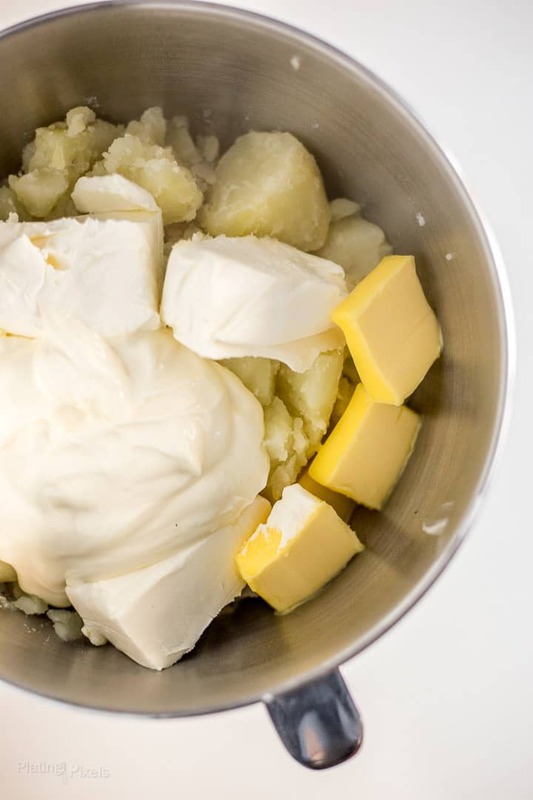 Boil potatoes and mix in sour cream, cream cheese, butter and milk for fluffy mashed potatoes as Thanksgiving side. Peel and cut potatoes into large cubes. 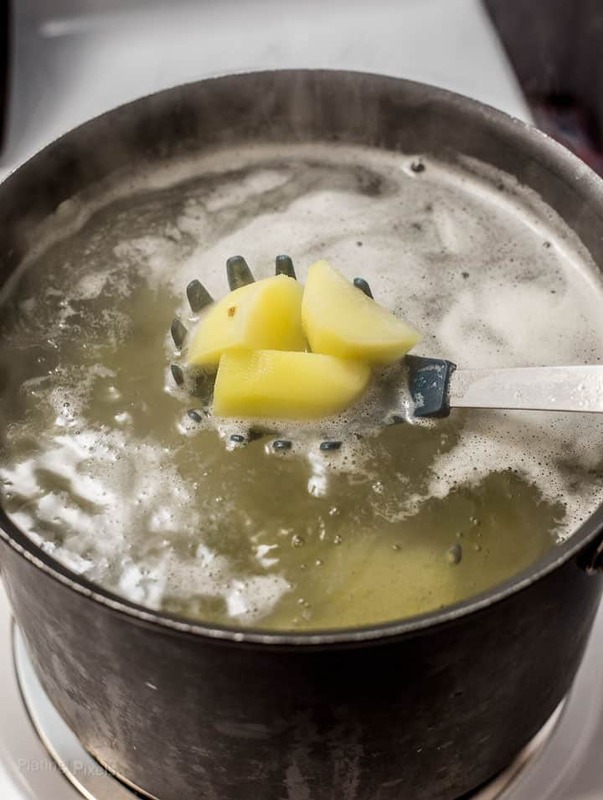 Place potatoes and 2-teaspoons salt in a large pot and fill with water to submerge potatoes (leave at least 1-inch from top to prevent over boiling). Bring to a boil on high heat. Then reduce to medium-high and boil 15-20 minutes, until potatoes are just tender. Remove from heat and drain. Place cooked potatoes in a large mixing bowl or stand mixer. Add butter, cream cheese, sour cream, milk, garlic powder, pepper, and remaining 1-teaspoon salt. Use an electric mixer with whisk attachment to beat until combined and fluffy. If you don't have and stand mixer or handheld one, use potato masher on potatoes, then stir in remaining ingredients. The texture will not be as light and fluffy, but will still taste great. Wow! Those are rich and creamy mashed potatoes! I can’t believe I’ve never used my stand mixer, I can only imagine how light and fluffy they are! You should totally try it Pam! Thanks! They do look extra creamy! Perfect timing for the holidays! Love making mashed potatoes but never thought to add sour cream or cream cheese into the mix! I’m intrigued! It makes them so much more rich and creamy. Thanks Vicky! These looks like mashed potato perfection! So great for the holidays! They totally are. Thanks Jessica! Hi Sandy. Thanks so much for the feedback, I really appreciate it and glad they’ve been helpful! This is a total win around here!!! Definitely trying your recipe! Thanks Cami! Have a wonderful holiday! To be honest, I think I might add a little more butter (just kidding). I love this type of mashed potatoes. If you want to get all fancy, it’s fun to use a star tip and pipe them into individual casseroles. And that ham…yum! You can never have too much butter, at least taste-wise. That’s does sound like a fun idea Lydia! I always wanted to do mashed potatoes in a muffin pan too. They’re a perfect combo. Thanks Kristi! My 6-year-old could live on mashed potatoes! They look perfect for the holidays – and they look like they could easily become a favorite! I think I lived off of mac n cheese at that age, or at least I wanted to. Thanks Jamie and hope you all enjoy! WOW! 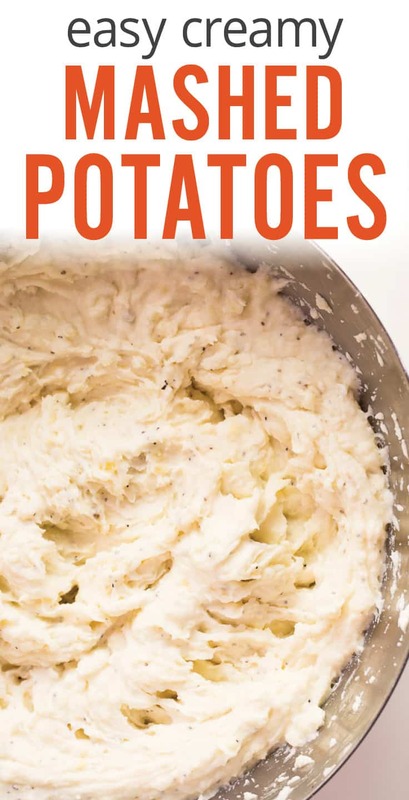 These mashed potatoes sound so delicious! I’ve never thought about adding ham. Such a simple and delicious addition. Can’t wait to try!! They go together great. Thanks Emily and have a wonderful holiday! 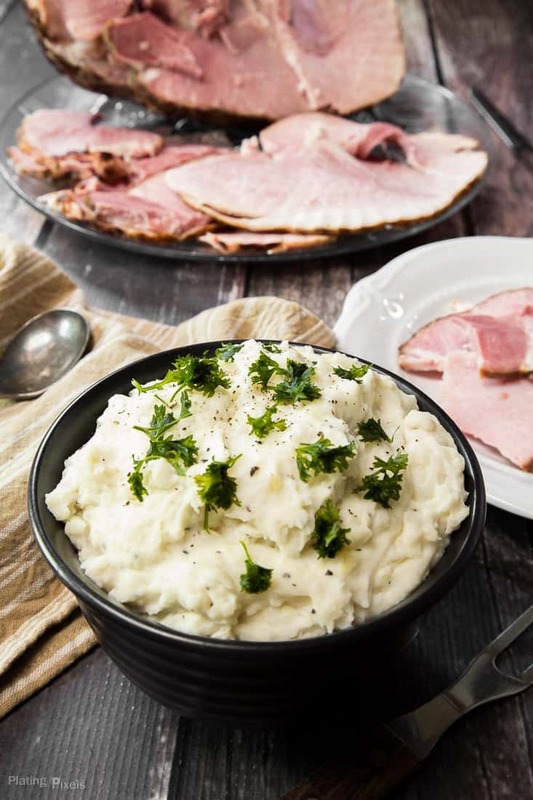 Mashed potatoes are my favorite part of any holiday meal, and with ham? Yum! Exactly, they’re always a staple at our holiday meals. Thanks Leah! Mashed potatoes are always the highlight of any holiday meal for me – these look perfect! They’re my fav too. Thanks Melissa! These look delicious! I like a good bowl of mashed potatoes. Thanks Melanie. I agree, you gotta love a classic done right. No gummy or flavorless mashed potatoes here.